What setting do you use ? Like how much sensitivy ? On the Zoom ? Zoom sensitivity about 85%, deadzone 20%, aim assist off. Soldier sensitivity 75, zoom sensitivity 100%, uniform aiming On. Deadzone 8 left, 10 right. But basically everyone needs to find what works for themselves. It's try and error. I think my normal rotation sensitivity is around 35. Nice video - he's a cool guy with some good tips! You have to be carefull with this. Turning it Off when 99% has it turned On puts you in a significant disadvantage. dcs500 has like 23.033 kils , he is in the same platoon with me ..
Yeah, and about 4 million deaths. 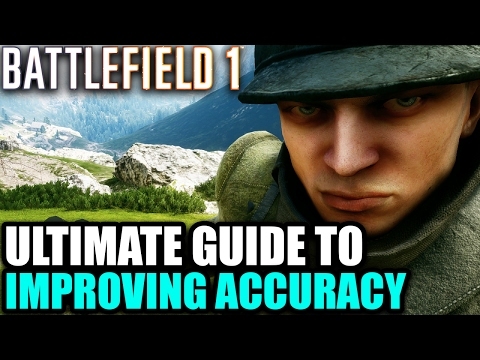 On a serious note I've messed around with settings so much I don't really know what good or bad , and BF1 has so many issues now that game settings are, in my opinion, irrelevant, you're basically at the mercy of latency and other players ping. Turn down shake scale and motion blurr, too. And vibration. I have soldier sensitivity at 95. General zoom sensitivity is at 180 with 125% for everything up to 1.50x zoom. 1.50x and 2.00x are both at 145%, and everything higher is at 110%. Left deadzones are both at 8 and right deadzone is at 6 and 10 (axial). My max threshold on the right stick is at 74.
i did it the compleet other way . @hjm600rr I've recently been playing with my settings again, here's my current settings which feel good at the moment. I've reduced Field of view right back to 60, previously had it on 90, lower setting sacrifices peripheral vision for greater zoom.